What is your Saturday like? Is it relaxing, putting your foot up on the ottoman, drinking a beer, watching TV, doing nothing? Is it running errands you didn’t get to do all week? Is that the day that everything in the house can finally get done? For me I try not to make it a cleaning day but sometimes that happens. It is the only day me and my man get to enjoy a full day as a “Weekend Day” as he calls it. Friday starts the weekend, but because he has to work, Friday doesn’t count. Sunday only goes so far and you have to behave in the night time because the next day is a “School Day ” or “Work Day” mentality he says. So Saturday is the only REALLY Weekend Day unless it is a Holiday and he gets an extra day off. I know many of you are planning this weekend to bake and cook and color eggs. Some are getting ready to show their favorite Easter Dress or New Easter Dress at church this Sunday. Some are not celebrating this holiday for one reason or another and it is just a normal weekend like any other. If you are looking for a nice Vintage Recipe that Takes the Cake (Pun full and well intended) Here is a nice Vintage Recipe I found. I would not in any way be able to enjoy this as I am HIGHLY Allergic to Coconut. But it definitely looks like fun. I would wear my Easter Apron and cook all the fixins and goodies and even color eggs. I don’t have an “Easter Apron” completed yet but here is the start of what I am working on for my Easter Apron…. I am going to add the finishing touches on it tomorrow, so I have it to wear on Easter! I will share the pictures as soon as I get it done. For some a quick easy little Bandana Apron like this one might be more their style. When I look at this bandana Apron I made I see a very Organic kinda girl. Someone Kitchy and Quirky. This gal is making an Organic Easter meal. Or perhaps the Turquoise Dotty is more your style. Cute quaint, I could see this gal in heels and pearls. We both laughed and agreed. If you are a Follower of this site you may have noticed from last night to today that there have been a few changes. Well, hold on to your hats because there is about to be more…. Recently I found out I am not able to use the Sensa name because Sensa the wight loss company owns the right to it. So what does this mean? Well, anything I use with Sensa Fashion or Sensa…anything cannot be used as well. I have had to go through a Re-branding before luckily so I know how to do this. It is not fun. It is tedious. Change all the names of where you are online. Change Twitter Accounts and emails. Change Blogs and Facebook pages, and so on and so forth. People either love you or hate you for it I have found and in the midst of me growing I am hoping you grow with me and enjoy and welcome the change. And thus at THAT time became Trisha Trixie and Company. A Social Media and Web Company. But also in that time he advised that I go out and use the Trisha Trixie name so much there will never be an argument as to who owns the name. So I did. Go ahead. Good “Trisha Trixie” and you will be there for awhile. Images, pictures, logos, posts, you name it, there I am. So why not continue this trend when I decided to get back into PinUp Modeling? So I did that too. This year my passion truly is to have a Vintage Inspired Apron Line and all the pretty things that go with it. My market is for Pin Up girls and moms and those who like the apron line and that embodiment of a retro or vintage woman. I think Trisha Trixie embodies that. But until I spoke to Susan from Business in Blue Jeans today I wasn’t aware of HOW MUCH it embodied it. Hearing someone else say it made me think about it more. Which then I researched more intently inside me thoughts of where I wanted to go and what I wanted to do. Was I willing to take the chance that the Sensa line could come after me? I did not want to build something up for someone to just take it away again. If I was going to change now, would be the time to do it. I hope you all stay with me. I hope you all will like the new changes we have in store for the rest of the year with this site and blog. A new focus will be on Aprons, Recipes, Custom Made DIY projects, pretty things that go with aprons and things for PinUp Models as well that will go along with this line. The possibilities are not limited, in fact they are endless. If you have any suggestions for us along the way, please let us know. Since Corrina has alreadyprepared tomorrows post, I am going to leave it as is. Friday we will have our wrap up. Starting Saturday I will be gearing you up for next week with a morsel of the direction the new site is going to take. Sunday I am going to ask Corrina to share on of her favorite Sunday recipes. And by Monday we will be in full force, look and direction for a new era of Trisha Trixie Designs. I have already changed the logo of the site and the name…more changes will follow but I will try not to make them TOO drastically as I don’t want to give you all whiplash. Thank you to those who understand and support. I would love to hear your support and suggestions in our comments. Please click the little heart in the corner and share with us your thoughts. My Apron arms and ears are ready and waiting. You can also come check out our new look and LIKE it or LOVE it on our Facebook Page Trisha Trixie Designs. Some of you may or may not know but I love to draw. My Art page is The Art of Trisha Trixie Last year I spent a whole year just drawing. My goal? 50 Figures and 50 faces in a year (Actually I started in March and ended in December). 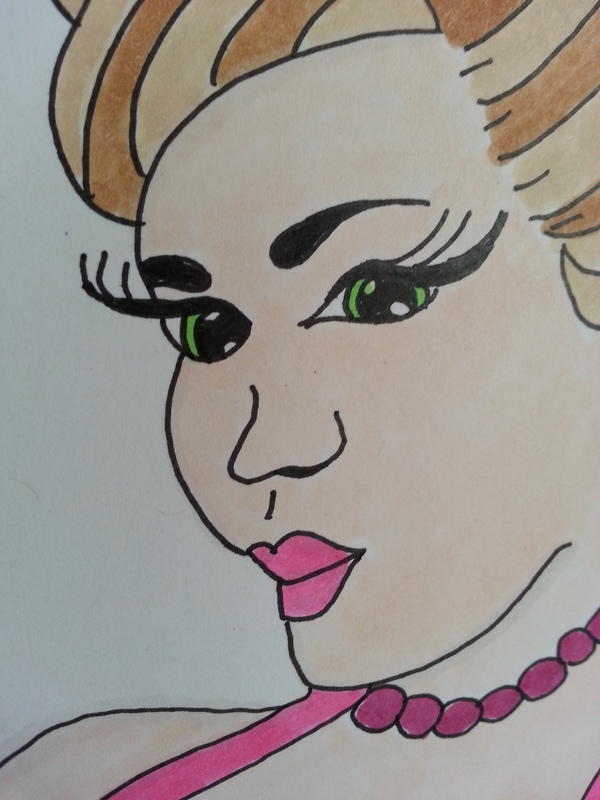 It made a vast improvement on how I drew my eyes and lips and other features. I took classes online and elsewhere. I showcased my work in art galleries and events. I sold art at booths and fairs. Art was my life last year. Partially trying to get over things in my life I turned to art for healing. Also I wanted to improve. I wanted to see where it would take me. Funny enough…it took back into Modeling. Back into Fashion. and now Back into Art. This year as you can see my focus is more so on the Fashion and Modeling side but I was feel though the artist in me was missing. Sketching figures for designs is one thing, but doing true fashion illustration is another. Staying with the PinUp theme and showcasing aprons as my line is this year, I drew a picture of a pal of mine in the industry….Miss Tootsie Pop! I am showing you both versions with the original white dotted top to the leopard version of the top. 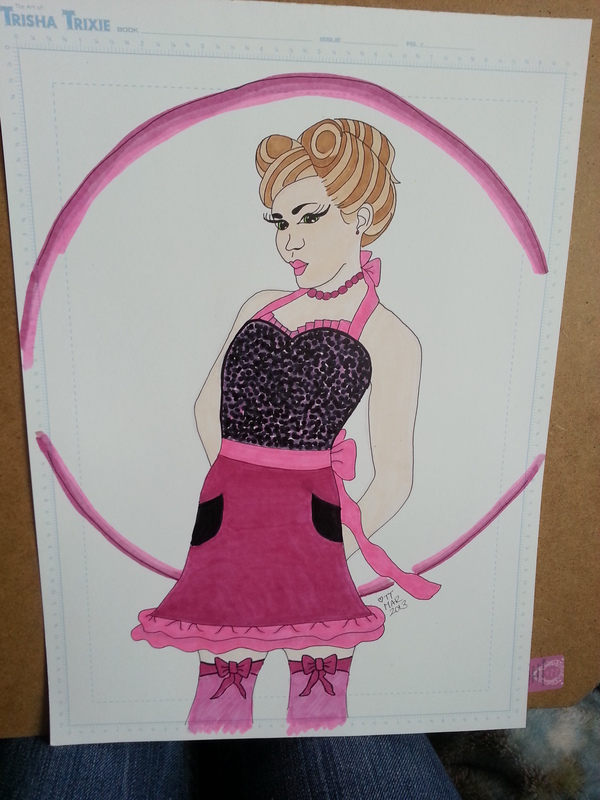 Hope you like the Art side of Trisha Trixie as well as the Fashion side. It was a horrible slow going process. I had been blogging on Blogger for other reasons personally for years but to try and share with others on what my idea and sense of fashion was was a lot harder than I imagined. I didn’t want people to look down on me if they disagreed. I was also afraid to share because I didn’t want others to think of me as Haughty or Prideful. Slowly I kept trudging on but in the end I wanted more than just being a blogger at that time. Des Moines is great for Technology Startups. There are networking events for Start Up Drinks and Social Media Start Ups and nearly anything having to do with technology. I figured to truly make it here in Des Moines I need to create something that appealed to this bane of cliques in this genre. I had a Web and Social Media business at the time and that was more my bread and butter so I thought the transition would be as easy as creating a great Fashion Community and Portal and people would just flock to sign on!! The community was going to have Models and Photographers as well as other Designers and Fashionistas all sharing their knowledge and connecting. I thought it was a grand idea where one could ask questions and connect and be helped from all facets. I thought it was fabulous. Well, or so I thought is the key phrase. It dragged as well. I went networking and pitched it at BarCampOmaha and even pitched it to StartUpCityDSM a company that helps Tech Start Ups. I got a few other ideas from BarCamp but when I left StartUpCityDSM I left with my tail between my leg and let their thoughts influence me too much. StartUpCityDSM was helpful, don’t get me wrong, but a room full of investors, launchers and those who knew how to make things happen launching and throwing questions after questions at me of things I didn’t think of, like why would people pay for the site, what was I giving away, who was I connecting with, did I have a business plan and so on, scared the dickens out of me and I don’t scare easily! I set the blog and the fashion idea out of my head and went back to my bread and butter adding in a side of Freelance for big Companies from time to time. But I hated it. I was miserable. I was an Entrepreneur not a Cube Girl! Why was I living this life? I was not one to do things I did not want to do so why was I doing this when really I wanted to create, design and write about fashion and get back into both sides of the world on the modeling side and the fashion side?? He said, “Ok then do it! I believe in you! 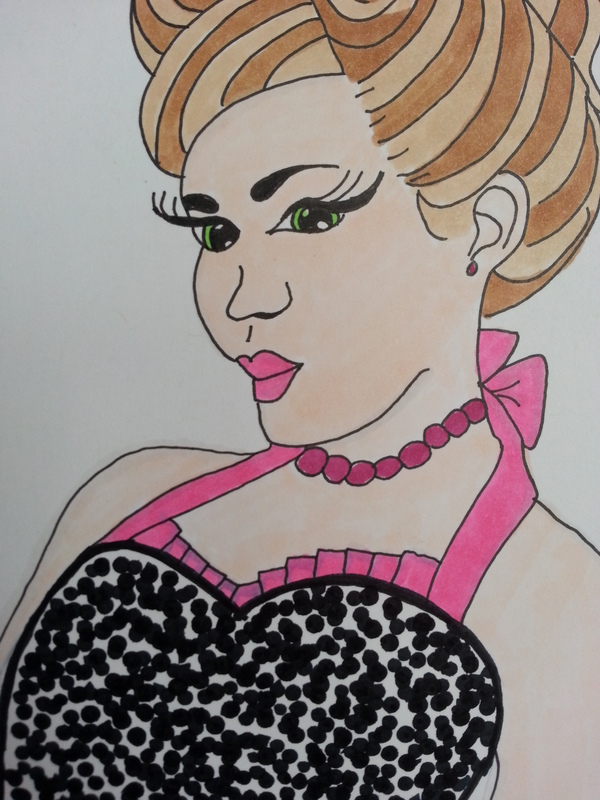 So far that has been grand and little by little I have been featured on a few PinUp Sites and this week was asked to be a Ruthless PinUp girl and the Ruthless Fashionista. I am also now the Fashion Blogger for DesMoinesisNotBoring.com and write about Fashion and events that I go to as the Fashionista for SensaFashion around town to prove the fashion is DesMoines is not boring either!! Lastly, I write for myself and my sister/intern writes and assists me with blog writing and things needed for SensaFashion. I decided two weeks after I heard about IFBCON to go and I won a three night stay at the W Hotel, got a free bracelet from Alex and Ani and met some amazing people and made some amazing contacts! I just knew in my gut I had to go as it would be the launch of my year and it WAS!! I am also avidly designing and creating for my Vintage Inspired Apron line and also creating Reconstruscted Fashions taking your clothes from Drab to Fab! Not only has the modeling been going well but this has been moving along for me too! 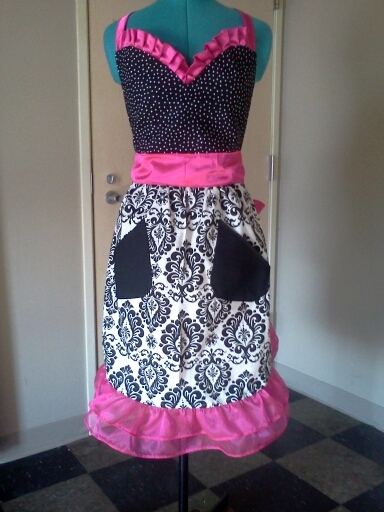 I had one order already for a bakery in Jefferson Iowa where we made 6 custom Aprons for her small business. annnddd… I have been selling my ReConstrusted Fashions at booths and shows around town. I have been trying my hand at a few E-commerce sites but that has been a chore. Every time I wear one of my fashions people beg me for a card and ask “Where can I buy your items? I have tried to direct them to buy online but I felt this last week what I really needed was to be where the people could SEE my fashions and was hoping to find a store I could sell them at by renting space or being on consignment to being since overhead is quite costly. Well, as the fates would have it my pals have my back and my friend Shari just email introduced myself and her other friend together that has a small business called Cheryl’s Borrowed Occasions where she rents out prom and wedding dresses, shoes and misc accessories. Not only did we discuss renting my items there (would would be wonderful residual income) but she always is possibly interested in having me ReConstruct some of the dresses and items she already has to make them more sellable. We meet next week and I can’t wait to see how this turns out! Stay tuned on my blog to find out!! To me, my future is now bright. I see this going in the direction I desire it to so I guess we will see in 6 months. I hope TrishaTrixie and SensaFashion to be names people hear and learn to love! I am a dreamer and believer. Failure is only one step to success and I had that so now I am moving on. I am loving the ride of life I am on (as I generally do) and I have no clue where things WILL go but I know I am going to work as hard and smart as I can to get there. I will use out of the box thinking and my uniqueness to get me there! Thanks for this challenge. I enjoy being a part of IFB and am so glad I went to IFBCON. It changed my life. I am a Pin Up Girl. Which means hours sometimes with my arms in the air rolling victory rolls. The one thing I have really been wanting and hating is how I don’t have bangs. Many of the Pin Up gals have the cutest bangs! So today I am going off to get some bangs…and some other added attributes to my hair. So say goodbye to the long front locks that I have to roll and pin. They are always go good to me. And I mean ALL of the staff. The cashier to the instructor to the person doing my service, no matter what. No one has even been rude or mean or disrespectful to me in the time I have been going there which has been awhile now. I am collecting students. Its a joke, but though I do have my favorites and they know who they are, I enjoy getting to know new students from the Alphas to the ones on the Floor. Little by little I think the students who DON”T know me are even getting to know me by my look. 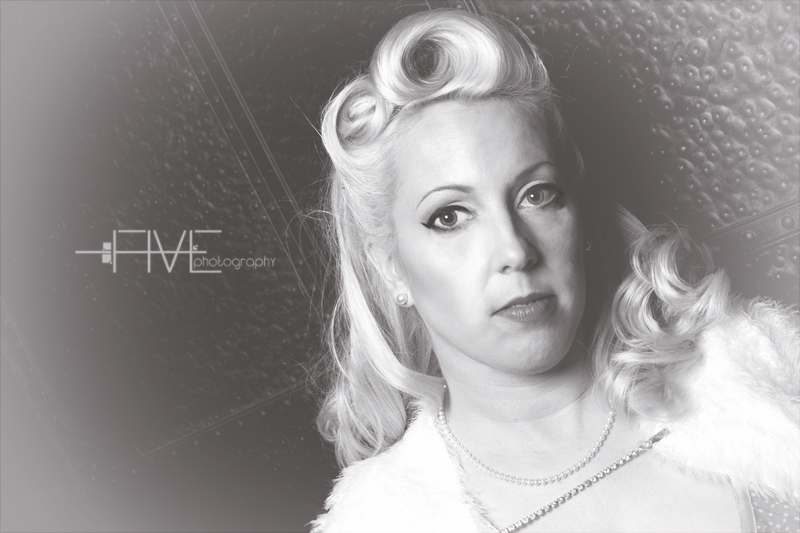 Not many come in asking for White blonde hair, pin up eyebrows and Victory Rolls for photo shoots. So if you are local, and looking for a great inexpensive place to go with a great staff and great services and great products, check them out. If you are not local, see if there is an Aveda Institute near you. If not, find a good school in your area, it will really help them and you in the long run. Come follow me on Facebook either on my Model Page to see how it turns out! Also come find me at my SensaFashion Designer page. 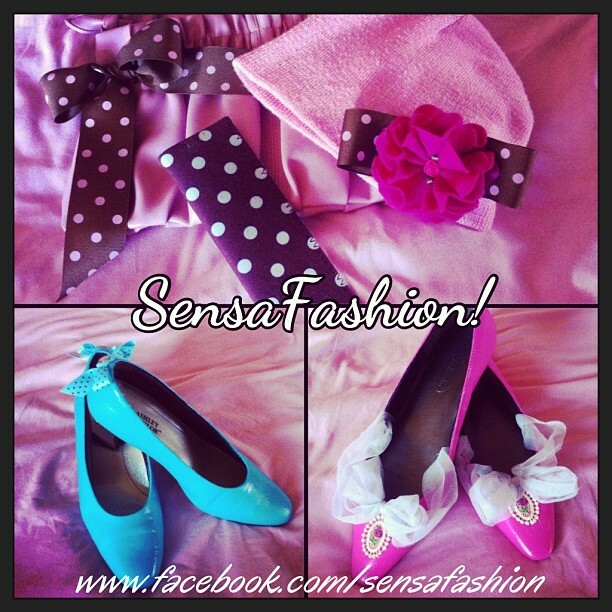 We just added the SensaFashion Shop so now you can buy items right from Facebook or online via PayPal.